Details about the upcoming CONEXPO- CON/AGG show have been unveiled and should leave attendees with a great deal of excitement over what they will see at the show, beyond what has traditionally made it the attraction and asset for the industry that it is. This year’s show will feature several new additions, most notably the Tech Experience, which is a can’t-miss stop for attendees. Featuring 75,000+ square feet of emerging technologies, wearables, infrastructure materials, as well as safety and productivity innovations, the Tech Experience will let attendees step into the future and experience what’s next for the construction industry. The Tech Experience is the cornerstone of efforts to evolve the show for the future. Also on display within the Tech Experience will be future transportation concepts submitted through the Infrastructure Vision 2050 Challenge, an important project sponsored by AEM to crowdsource breakthrough ideas for the United States’ toughest infrastructure problems. Launched in early 2016, the final phase of the Challenge is culminating exclusively at CONEXPO-CON/AGG. Out of 500 competitors from across the world and 42 in-depth, technical submissions, five finalists will converge in Las Vegas at a live event within the Tech Experience auditorium to compete for $100,000 in cash prizes. On the second day of the show, attendees are invited to watch as the finalists pitch their ideas to a panel of judges. Think “Shark Tank” for the construction industry. Attendees at CONEXPO-CON/AGG can be a part of history in the making and vote for their favorite at two locations: at the AEM booth in the Grand Lobby located between North and Central Hall and within the Tech Experience’s What’s Next: Infrastructure pavilion. Through both the Tech Experience and the Infrastructure Vision 2050 Challenge, AEM is bringing innovations that will revitalize the structure and systems of society’s framework directly to attendees at CONEXPO-CON/AGG. For more information about the Infrastructure Vision 2050 Challenge finale event, visit www.conexpoconagg.com. Member, AEM’s Infrastructure Vision 2050 Task Force In his role as President of Bobcat and Doosan, Rich is responsible for all operations for the two brands in the North America and Oceania regions. Rich has been part of the industrial and international industry for 30 years. He has a wealth of global experience in general management, marketing, operations, finance, engineering, product portfolio management, aftermarket, and mergers and acquisitions. He holds a Bachelor’s degree in Finance and a Master’s degree in Business Administration from Western Illinois University. Rich is also the 2013 recipient of the Western Illinois Alumni Achievement Award and presently serves on the WIU President’s Advisory Board. Bobcat Company — based in Fargo, North Dakota — is the global leader in compact construction and industrial equipment, well-known for inventing the skid-steer loader more than five decades ago. Doosan Infracore Construction Equipment America markets the Doosan-branded products that include large excavators, wheel loaders, and articulated dump trucks. Doosan Portable Power is a market leader, providing durable and reliable air compressors, generators and light towers to construction and rental customers for more than a century. Doosan is fast becoming a global force in heavy construction and industrial equipment. 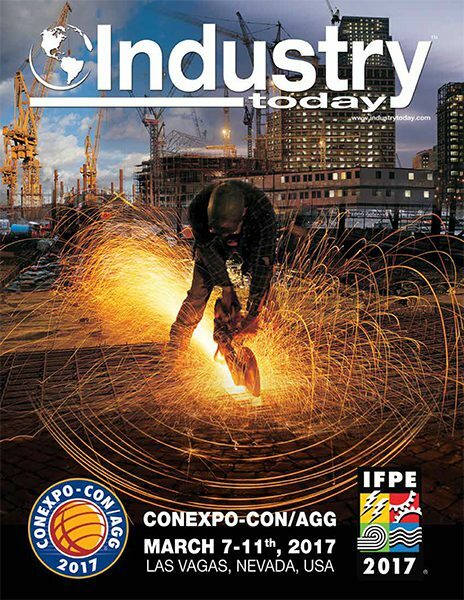 Download the CONEXPO-CON/AGG E-Book which includes in-depth articles on leading construction manufacturers such as Bell Equipment, Allied Construction, and Haulotte.